PVC Vertical blinds had been so popular for years. The material and the clever control mechanism of these blinds is the big reason why most people love PVC Vertical blinds as their home and office window dressing. PVC Vertical blinds is well liked for their reputation of understated sophistication. The style and perfect material of this blinds quietly fit the needs of every individual either it is for commercial, residential and private establishments. Strong demand for PVC Vertical blinds is now evident in the market. The light filtering and block-out style of PVC Vertical blinds both give simple and elegant look to every window. 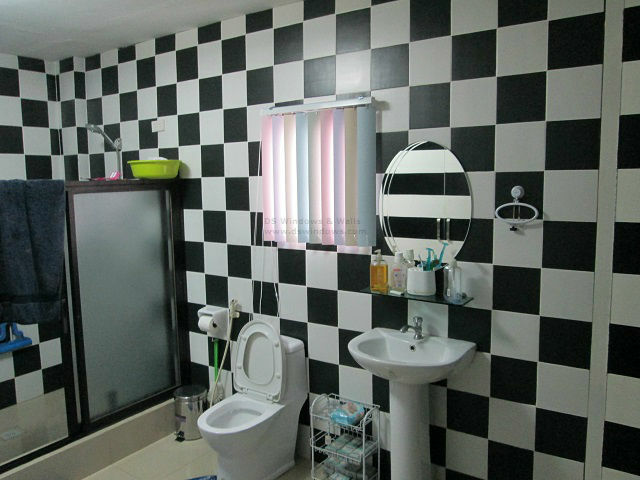 Our client in Calamba, Laguna opted for a light filtering PVC Vertical blinds for their bathroom small windows. To add some spice, they decided to combine multi-colored slats in one set of PVC Vertical Blinds and it perfectly coordinate and look chic and beautiful to look at. With PVC Vertical blinds, the complete privacy for bathroom can be maintained at the same time, light and glare from the sun can be controlled. If you are in need of PVC Vertical Blinds, fell free to visit DS Windows and Walls at 2nd level Pacific Mall, Lucena City, 3rd level Robinsons Metro East, Pasig City and 4th level Waltermart, Makati City. Right there you can see various material, color and texture for PVC Vertical blinds, where you can choose the corresponding material for your room. 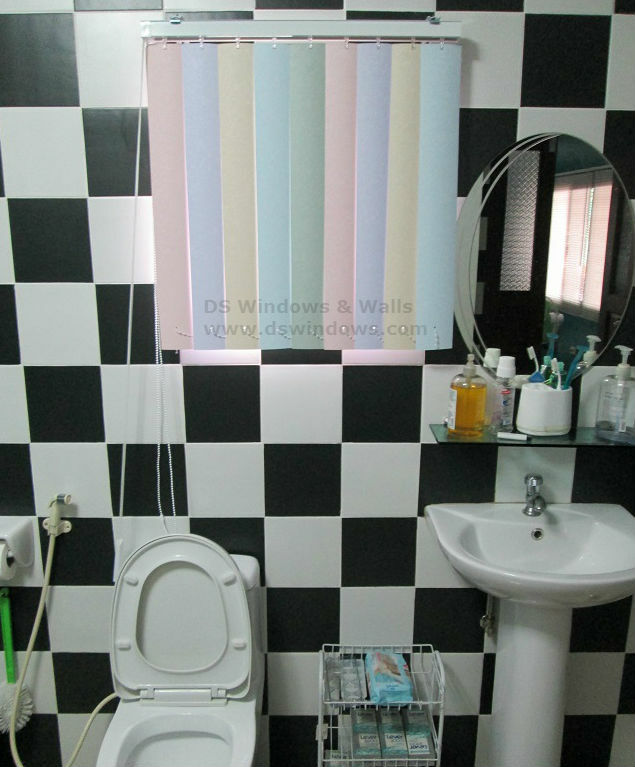 We also offer different kind of window blinds, vinyl wallpaper, accordion doors and carpets. 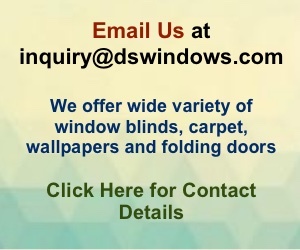 You may contact us at 0916-311-3909 / (02) 893-1373 /(02) 403-3262 or email us at inquiry@dswindows.com. For prompt response, visit our FACEBOOK page and like us at www.facebook.com/windowblindsphilippines and www.facebook.com/blindsphilippines. For Calabarzon area, you may contact Mr. Patrick Villapando at (Globe) 0917-583-0214 or (Sun) 0922-592-6111.